Maybe not all people know this cheese, but if I say tiramisù I guess you know exactly what it is and now you’re imagining that dessert in your mind *like I am now.. damn, now I want to eat it*. Yes, this cheese is the main ingredient of the dessert, as explained here. It is made from cream, coagulated with citric acid or acetic acid (source: Wikipedia). 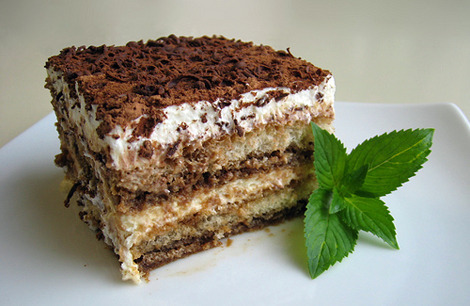 To torture you even more, here I put a picture of tiramisù *evil grin*. Ricotta is an Italian whey cheese, made by coagulating the proteins that remain after the casein has been used to make cheese, notably albumin and globulin (source: Wikipedia). Thus, it is perfectly safe for people with milk allergy. It is commonly used in almost all Italian cuisine like pizza, pasta, calzone, etc. I don’t know exactly how to use it in cooking, like to thicken a sauce or to make a dessert, but I usually put it on top of sliced fresh tomatoes as snack ^^. 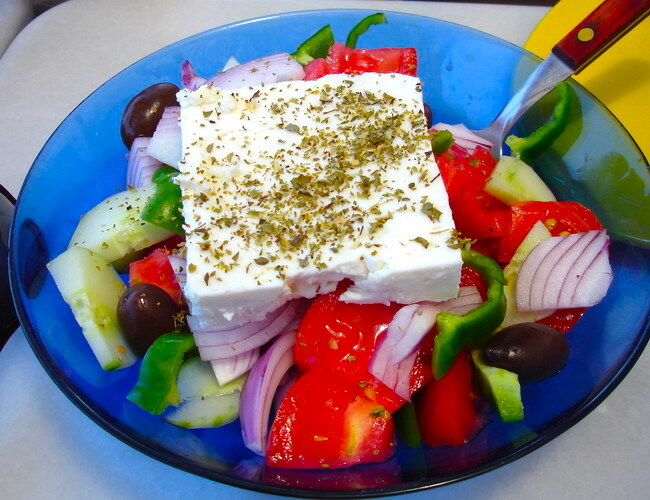 Feta is a brined curd cheese made from sheep (and sometimes mixed with goat) milk, and traditionally made in Greece. Brined (or pickled) cheese means it is matured in salt water, while curd.. well, hard to explain, better read about it here :p. It is commonly used in salad, and a salad (with olive oil and salt) is automatically called a Greek salad if you put feta inside ^^. I learned about the existence of this cheese only recently, and it instantly becomes my favorite cheese. It is a fresh Italian cheese, made from mozzarella and cream. The outer shell is solid mozzarella while the inside contains both mozzarella and cream (source: Wikipedia). 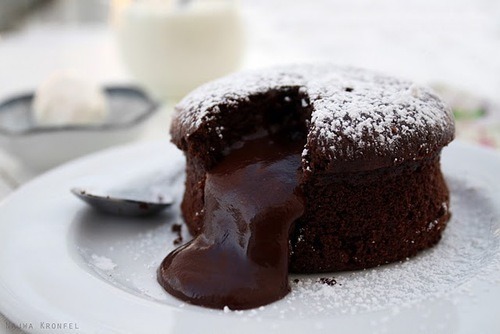 It reminds me of chocolate lava cake, that when you slice it open the cream will flow out… yummm. Just eat it freshly is fine, like.. butter lava cake. However a friend said that putting it on top of bruschetta (grilled bread rubbed with garlic and topped with olive oil, salt and pepper) is.. molto buono, which I have yet to try. I present you the picture of burrata (left, picture is taken from here) compared with chocolate lava cake (right, picture is taken from here). And both are definitely my favorite! That’s all for now, see you in the next cheesevestigation… if there’s any :p. Ciao!